A typical Block Diagram presents a quick overview of major process steps and key process participants. 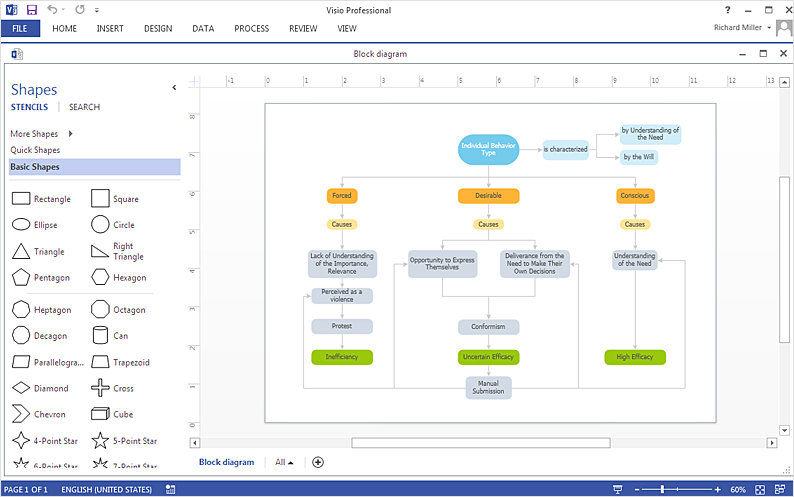 The ability to design block diagrams quickly and easily contains in the Block Diagrams solution. You can easily exchange your business graphic documentation with MS Visio users since ConceptDraw DIAGRAM allows you to export your block diagrams to MS Visio 2013 (VSDX) files. Open any block diagram, created with ConceptDraw DIAGRAM. From the Open window, select the desired file to be exported. Click "Ok". Result: You can easily design a graphics pack for your business documentation and avoid difficulties while sharing it with MS Visio users.